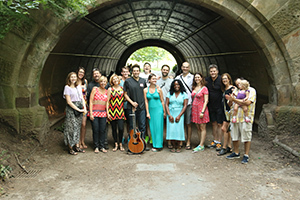 Tunnel of Love is a 100% self-funded, independent film, which is available completely free to the world. It cost $11,000 to make. It took dozens of people and thousands of hours to research, write, produce and distribute the movie, and continues to require money to sustain and promote. If you or your organization have found joy and value and inspiration in this project, please consider supporting with a donation. Think of it as a digital tip jar.